Product strategies fail all the time. In fact, between 30 to 45% of new products fail to deliver a financial return. The burning question is why. Sometimes the strategy lacks substance. “Improve adoption rate among millennials with small to medium dogs” isn’t a strategy; it’s a goal. There’s no plan of attack, and therefore no way to succeed. Strategies also fail because the product doesn’t solve the right problem for its market — or any problem at all. Google has quietly built a track record of launching products that didn’t really do anything useful for their audience. When Google Wave launched, the search giant struggled to articulate what the product did, much less why it was worthwhile. Wave was gone after 15 months. 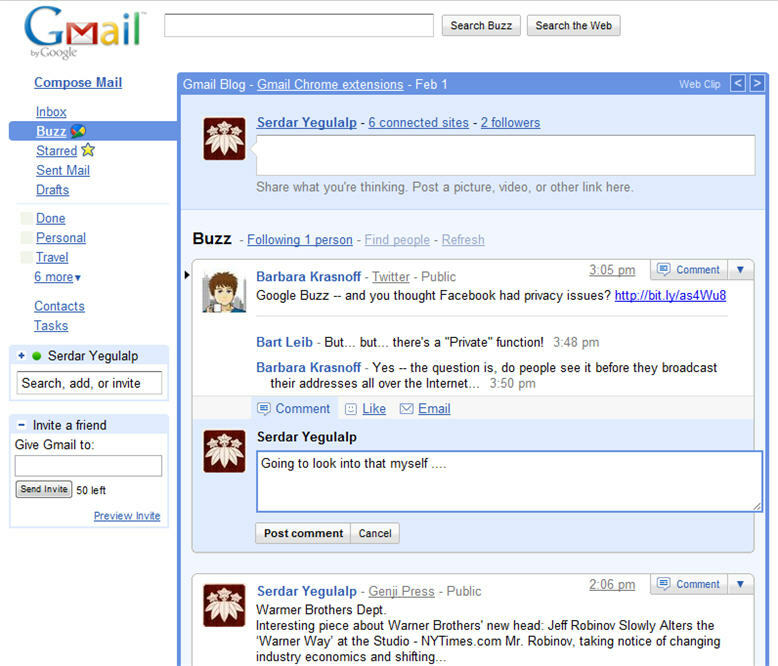 When Google Buzz hit the scene, it was immediately greeted with privacy concerns. Google kept most of the testing in-house, so they didn’t solicit feedback from humans who weren’t their employees. When Buzz hit the market, no one could look past the privacy issue. Google even got sued over it. The product last 22 months. 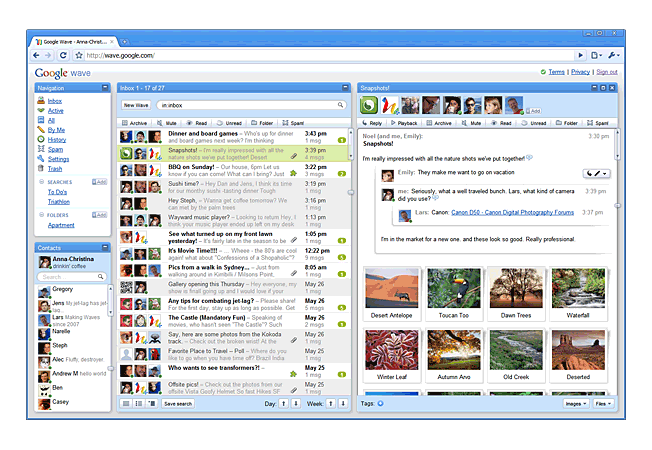 The fates of Google Buzz and Google Wave might have been different if the product strategy was better informed. This is why we do UX workshops — to avoid releasing products that no one wants, or to sidestep releasing an application with fatal flaws. The rest of this article explores what a UX workshop is and how it informs a successful product strategy. Wait, what is a UX workshop? 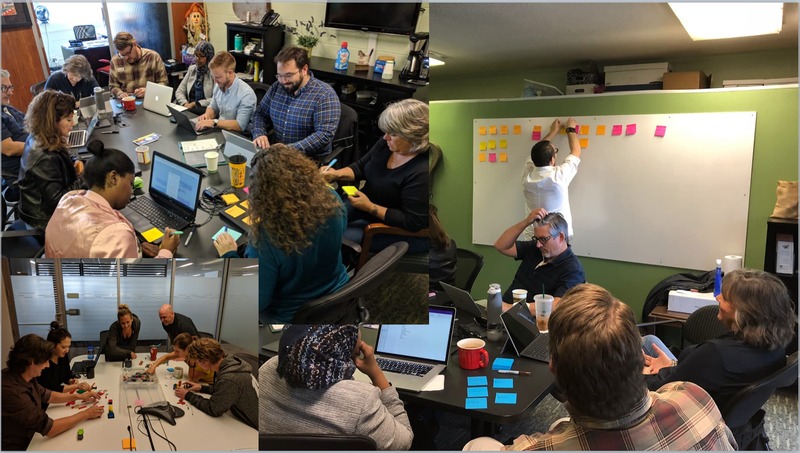 A UX workshop is a meeting in which the design team takes the project stakeholders through a series of exercises to define key inputs for the product strategy. During the workshop, the design team uses a variety of research techniques to unearth all the critical information, like the vision for the project, the needs of the users, and the way users currently do their work. In many cases, business knowledge is fractured. It might live in documents buried in Google Drive, or only in the minds of certain stakeholders. And every stakeholder might have different perspectives on the market, the product, and the user needs. Getting everyone in the same room during the UX workshop will create a more holistic view of the project and align everyone behind the same vision. This lessens the likelihood of surprises or costly mistakes once the design process has gotten underway. Like I pointed out in the beginning of this article, product strategies will fail if they aren’t informed by the right factors. Even Google isn’t immune to that maxim. Without a unified product vision, it’s impossible to develop a clear roadmap or otherwise plan for the future of your project. This insight will come mainly from the stakeholders. As the project sponsors and strategic leaders, they must have a compelling plan for how the product will fit into the market. A UX workshop is the best time to make sure they’re all on the same page, and that the design team understands the vision, too. Throughout history, preeminent products have always been the result of a clear vision. Apple is an overused example, but that’s because it’s one of the most compelling. Steve Jobs knew exactly what he wanted Apple to make: computers that were not only functional but stylish and easy to use. During the UX workshop, designers should ask stakeholders, subject matter experts, and if they’re present, the users themselves about the different types of people who will use the product. This is the first step in segmenting the audience and developing personas. Each persona will have their own needs and challenges, which will affect how the UX design strategy for the project. 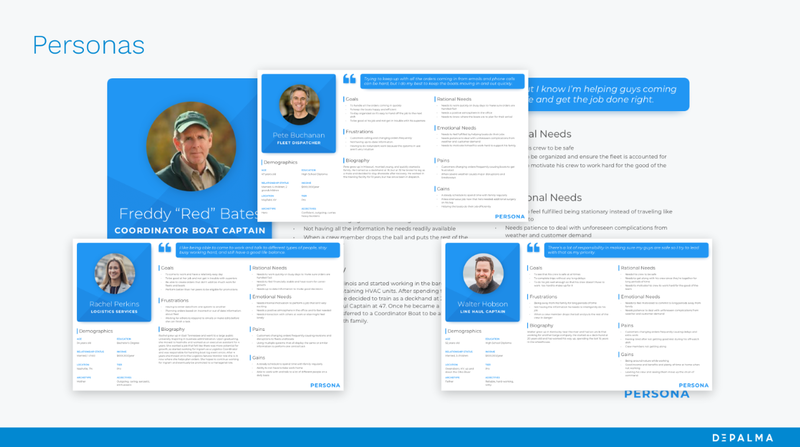 When we were designing a new application for Ingram Barge, we developed multiple personas so we could understand how each user group would interact with the product. From our persona research, we noticed the barge captains had a lot of stimuli in their day-to-day environment. This told us that they only had a limited amount of attention to devote to the application, so we moved the most important elements to the top of the screen and made the buttons very large to maximize usability. The audience loved it, and the project was a success. There are a myriad of ways humans can navigate a website or application, but there are also specific patterns that people will undertake most often. You’re probably familiar with the 80 / 20 rule, otherwise known as the Pareto Principle. Well, the same thing applies to UX design. The vast majority of your application’s value will be delivered by optimizing the most common series of tasks your users undertake to achieve their goal. During the UX workshop, subject matter experts can be consulted to itemize how users currently do their work —whether that involves an application or an amalgamation of tools. If users are in the workshop, then they’re obviously the best source for this information. At the very least, the main workflows can be identified during the workshop and fleshed out in the subsequent research. Either way, having clearly defined workflows ensures that you’re focusing on the most important experiences and building solutions that actually matter to your audience. Good question (and Hamilton reference). A lenghty workshop might seem like a marathon, but the value it adds to your product — and the failure it could save you from — is well worth it. There’s no getting around it: if the main stakeholders aren’t at the UX workshop, then it’s not going to do much good. You may uncover some spectacular insight into what users need and how your product can make their lives better, but if leadership isn’t there to hear it, did it actually happen? Not really, because you’ll just have to repeat the process all over again with the stakeholders present. So make sure they’re there the first time. Stakeholders should have great insight into how the project can benefit the business, but subject matter experts will have deeper knowledge into the market competition, the expectations of the audience, and (if the project is employee-facing) how people are currently doing their work. Make sure to invite them to the party. It’s impossible to follow a human-centered design process if you don’t talk to the humans who will use the product during the planning phase. If your product is customer-facing rather than employee-facing, it’ll be difficult to get users to attend the UX workshop. That’s not a dealbreaker. It just means the research will have to be done at a later time. A UX workshop isn’t a panacea: it can’t cure all ills associated with your product or business strategy. What it can do is make sure you have an evidence-based product strategy to follow before you do anything else. As a consequence, all the moves you make afterward will be better informed, and less likely to fail.